The embrace® story actually started 20 years earlier. 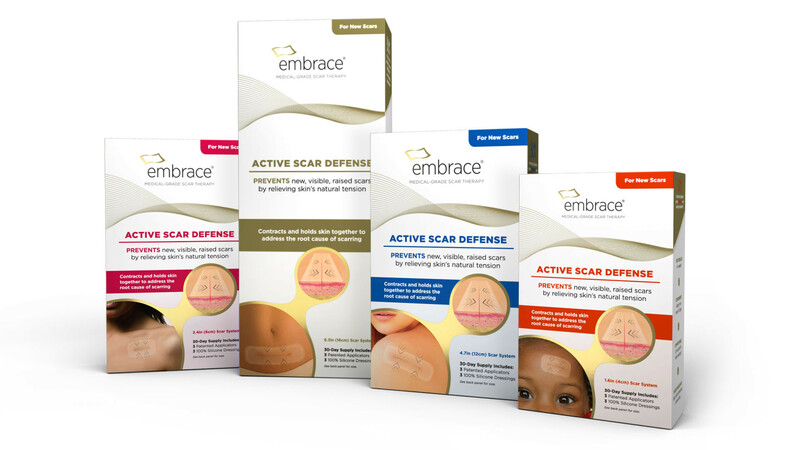 For years, the future inventors of embrace® had been discussing the flaws of existing scar treatments—steroid injections, laser therapy, even further surgery to remove raised scar tissue—which were generally expensive, painful, or simply not very effective. They discovered the idea of reducing tension on the skin by applying an innovative dressing that mechanically relieves the skin’s natural tension, and shields the wound from body movement and stresses. 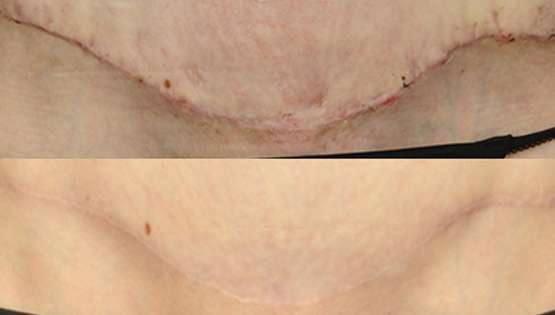 During the healing process, it stabilizes the surrounding tissue, preventing gaps in which excess scar tissue could develop. 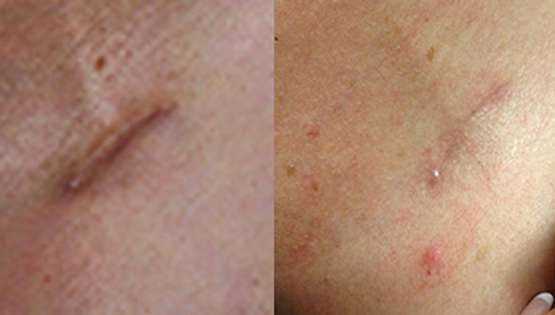 This unique mechanism of action helps prevent the formation of scars before they even start. 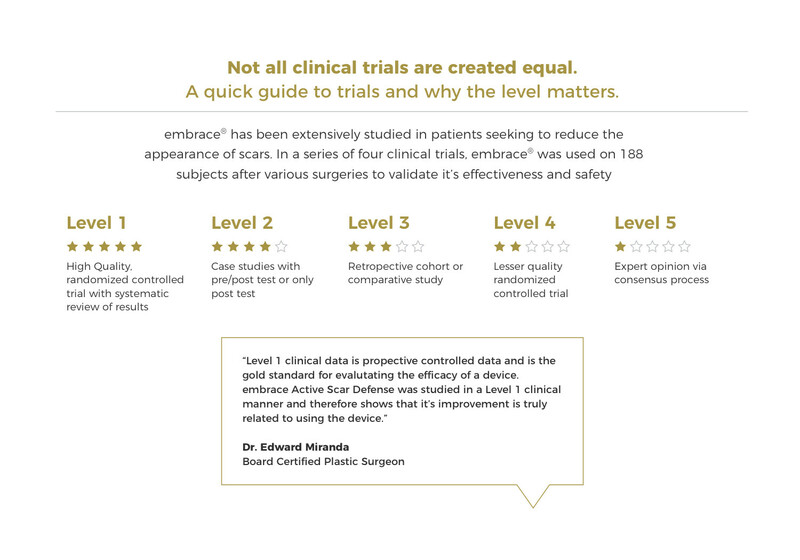 Summary: In multiple, peer-reviewed, randomized, controlled trials, embrace®Active Scar Defense was shown to dramatically and significantly reduce the appearance of scars when used for weeks after surgery. 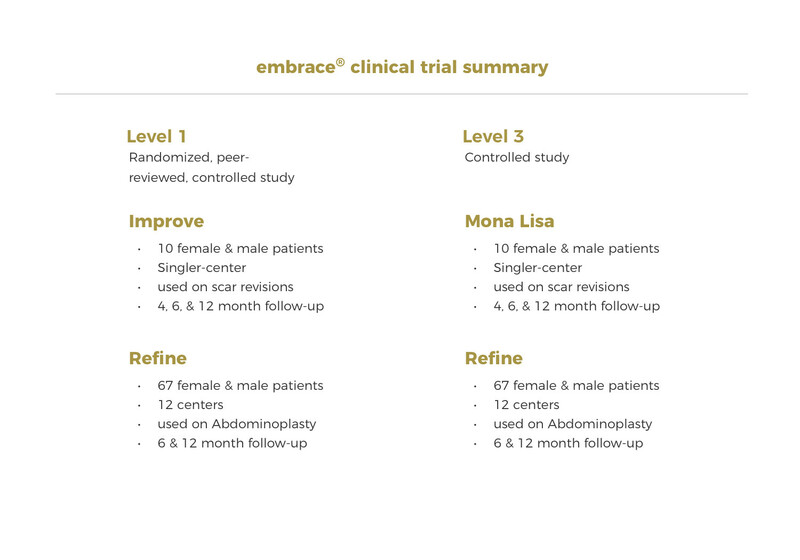 In addition, patients were evaluated for up to 12 months after active treatment, as the final healing phase can take up to 1 year or even longer to complete. 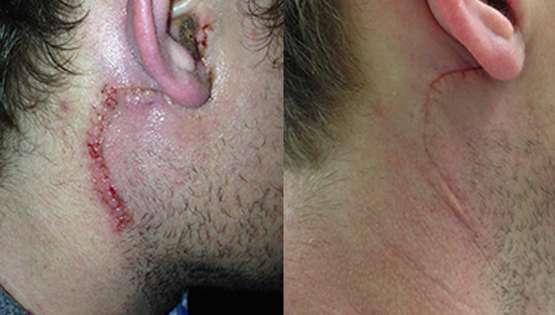 Timing of treatment is important to scar healing.